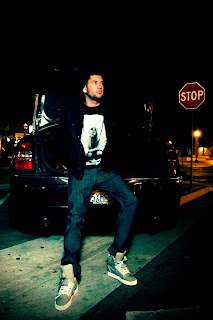 Props to DJ Earworm for the tight mix, and J AY TRAY for the heads up! Yeah, yeah, yeah, I know, another music post... but this is hot, and could help some of you "I dress fresh so I don't need game" suckas out. In addition, Terrace his donating a portion of the proceeds to his alma-maters music program. 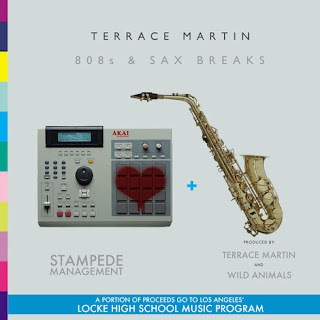 Via Dubcnn:"Despite producing numerous standout tracks for the likes of Snoop Dogg and Kurupt, Terrace Martin's first love remains the saxophone. It's fitting then, that his latest release is titled "808s & Sax Breaks". Inspired by Kanye West's acclaimed "808s & Heartbreaks", Terrace selected the original album's strongest tracks and reinterprets them as enchanting, sax-infused numbers. Adding a refreshing dimension to an already excellent body of work, "808s & Sax Breaks" allows Terrace to display his gifts as a jazz musician. His passion and soulfulness is clearly reflected on this exciting new release that should be embraced by Hip-Hop and jazz fans alike. "808s & Sax Breaks" is now available on iTunes for only $2.99 and it will be available on Amazon shortly!" 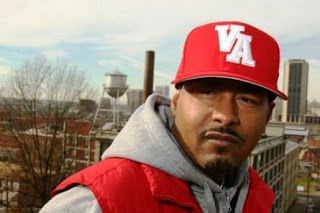 Skillz gets busy and drops his annual WRAP-UP. For now, it's a radio rip via Dopeboyz. I'm sure the CDQ will hit the net soon. UPDATE: CDQ has arrived. "...enter a newcomer by the name of Drake/the industry gotta get it in gear, cuz its bad when a mixtape is really the album of the year"
"Bernie Madoff,he was playing for keeps/ Amber Rose became famous without having to speak/ Black Eyed Peas roll deep/ They blacked Perez Hilton's eyes and made him pee in the middle of the street/Chris Brown, that's my guy/but how he do an interview, and all you focus on is the bow-tie?" Please note - Skillz gets busy on the mic, NOT just during these annual wrap-ups. Do yourself a favor and cop his Million Dollar Backpack LP when you get a chance. This Winter, Supreme and WTAPS have teamed up to produce a collection that includes a reversible melton wool/cotton varsity jacket in two colorways, three graphic T-shirts and a melton wool pillow in two colors. Available in-store on December 29th. Available in Japan on January 2nd. My favorite piece from the upcoming Season 10 drop from Skateboard P's jumpoff. Simple & Clean, something we don't always get from BBC/Ice Cream. Check Hypebeast for the full line-up of shirts, jackets, jeans, and kicks. One of my favorite up and coming brands, The Award Tour, is dropping their annual beanie on Xmas Night. 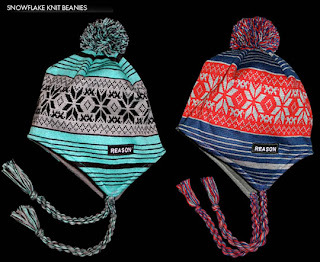 This year, their initial drop consists of a snow cap beanie, ear-flap and all. Only 50 produced in each colorway (Maroon/White and Black/White), and these are SURE to sell-out quick. Cop at theAward Tour's corner store. Did I mention these were produced right here in the good ol' U.S of A? 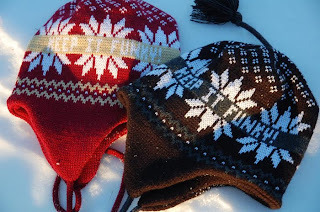 Note their "Winter" drop is coming soon, and will have some more knit goodies, so be on the lookout for that. "One of the biggest changes is the Podulon technology in the shoe that has never been used before in a basketball-based shoe. I can actually feel it in the shoe while I’m playing. Over the course of a game with all the cutting, changing directions and stopping and the defense that I hope I’m playing, I wanted to make sure the shoe is durable. I wanted to make sure I had stability." 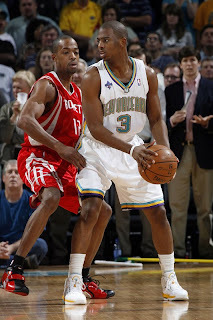 NiceKicks sat down with Chris Paul (aka the hands down best PG in the league) and chopped it up about his 3rd signature shoe with the Jordan Brand, the Jordan CP3.III. I'm still leaning towards the Kobe V for my next bball shoe, mainly because its lighter and lower, but this Podulon tech sounds interesting. Is it going to be the next thing (a la the Air Max 1 and the first viewable air units, or the Flywire Nike has been using the last couple years) or is it going be a flop, like the shox? Sorry Vince? 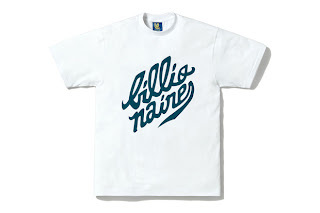 This shirt is CLEAN. I know you guys are loving the return of the puppet commercials just as much as me, and this collab between UNDFTD and Nike adds more fuel to the fire. 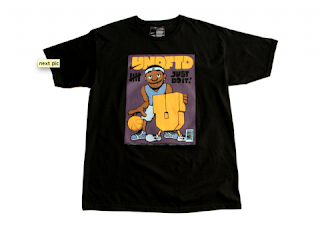 Check DimeMag for the other collab shirt, as well as info on the LA Puppet Hand shirt/foam hand give-away. 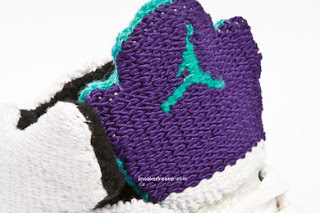 Check out NiceKicks for more pics and info. This is talent right here, I'm going to have to put my Grandma to work! $45 is a steal. Say word? 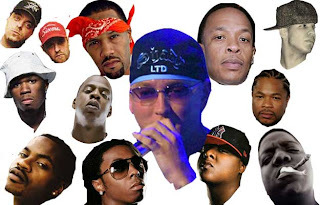 Once again, Complex brings together a quality compilation, this time consisting of their votes for Eminem's best guest verse ever. Em' has been coming strong (pause)lately, but I still think his verse on Dead Wrong takes the cake. Check out the page here, listen to the clips, and pick your favorite. See above for some new videos that dropped for Mike Posner's hit, Drug Dealer Girl (vid features Rosa Acosta, who recently did a photo shoot with Terry Richardson for Supreme, as well as Big Sean's Rollin and Say They Will track (the later having a great verse about his current struggle to get it poppin in the industry). **Update** So Big Sean is not supporting that video, so out of respect for the artist, who said via statement he did not approve the video and didn't give clearance for release, we removed it from the site. Speaking of Big Sean and Mike Posner, I had a chance to catch up with both of them at the Roxy in LA for a quick interview. Be on the lookout for that, and a couple other big interviews set to drop shortly! The big dogs over at Complex give us a great behind-the-scene interview with Kobe Bryant and head designer Eric Avar. These things weigh in at only 10.6 ounces! What?! My Kobe IV's are still in prime condition from last year....but if MJ could ball in a fresh pair of shoes every game, I can at least ball in a fresh pair every season, right? 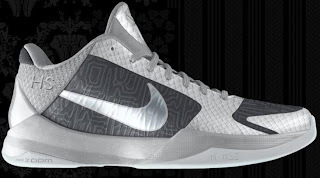 Check it out and design your pair on Nike ID now. Available now. Check out their site for the full line-up. There are a lot of quality pieces, and I think this is one of the strongest Fall/Winter lines I've seen. Us Versus Them X Crooks & Castles ~ Rise Up from DIGITAL X on Vimeo. I've always respected Us Versus Them's free-hand game, and it looks like this collab with Crooks & Castles is no different. Out today. Props to Woodard. 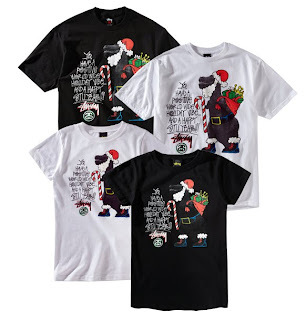 Wait, is Stussy going to win the Official "Oh Snaps Holiday Shirt of the Year" Award two years in a row? It's lookin' good. 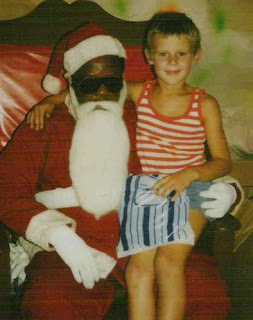 Text reads: "...Yo, have a positive world wide holiday vibe... and a happy Stu Year!!!" 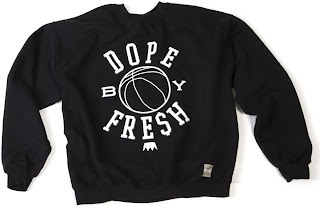 Cop the guys/girls version @ Stussy's site now. 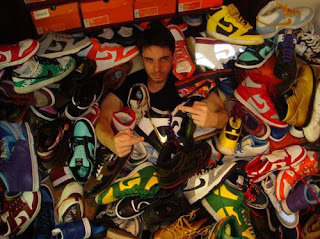 Before I ever knew DJ AM for sick blends and holding down the club scene on both both a mainstream (LAX) and underground (Dim Mak) scenes, I knew him for holding it down with one of the most amazing collections of Nike's ever. After auctioning all of his kicks off to charity with his recent passing, Nike steps up and shows love with providing AM his own custom Dunk High (premium). More info on the shoe itself at the 'beast. My favorite track off that Man on the Moon, End of Days gets the video treatment. Featuring cameos from Consequence and Drake, produced by Josh Hartnett. Good look. Nice Shorts Vol. 5 "Supreme Team" from Evesborough Films on Vimeo. I love Supreme just as much as the next man (ok, probably more), but I don't let that translate over to my gas purchases. 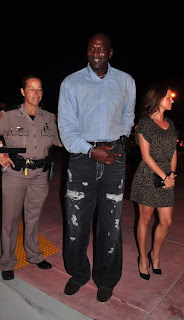 According to my source (Dustin Canalin), MJ was arrested by the fashion police over the weekend for once again wearing Mom Jeans (and ripped ones at that?). This is the 2nd recent arrest for Mr. Jordan. More details to ensue. BAPE comes out of deeeeeep left field with this collaborative effort with Tempur. 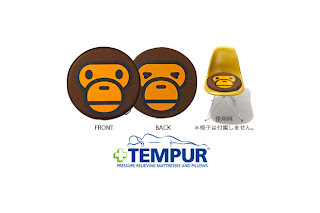 Baby Milo tempurpedic seat cushion? Yes please. For their Holiday 2009 outing, IM KING went with a darker look than we are used to, straying away from some of the brighter, multi-colored tee's they've given us in previous outings. Looks like another strong line-up from the Cali brand. Check out the full lookbook here. Oh, and don't sleep on their Thriller jacket, those things always go fast! 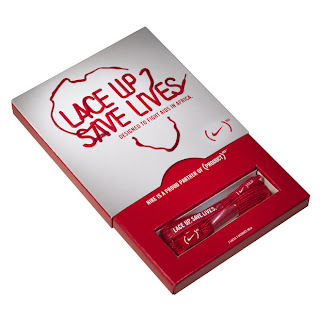 (NIKE) Lace Up Save Lives! The partnership invites people everywhere to “Lace Up. Save Lives” by purchasing a pair of NIKE (RED) laces at Niketown and online at Nike Store starting today. For each pair of $4 laces sold, Nike will contribute 100% of its profits to the Global Fund and to Nike’s youth-oriented football-based AIDS education programs in Africa. More info via NiceKicks and Nike. I'm normally not a fan of the gum midsole, but whether its the blue/red colorway or the fabrics used in the Vans x In4mation Chukka Low collob, it works here. Coming soon. 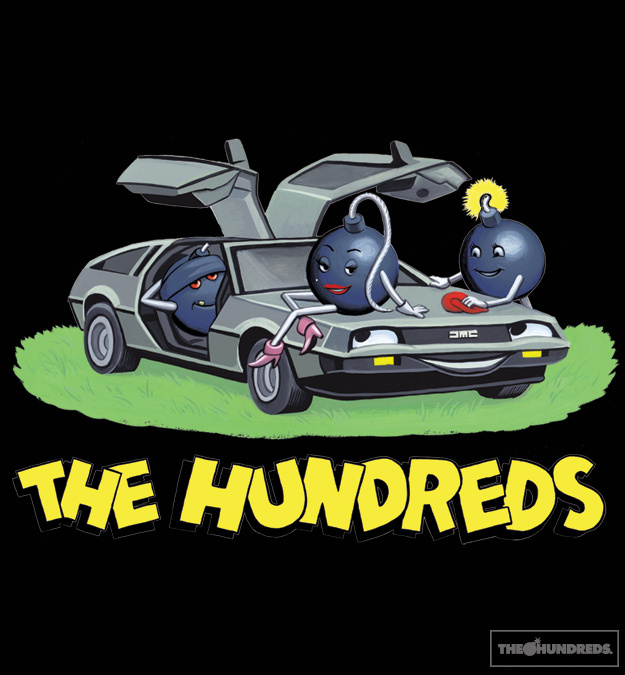 After months of hints, previews, and features from the Hundreds via their Magazine, Blog, and Twitter Page, we finally get a preview of the collaborative effort between The Hundreds and the DeLorean Motor Company. 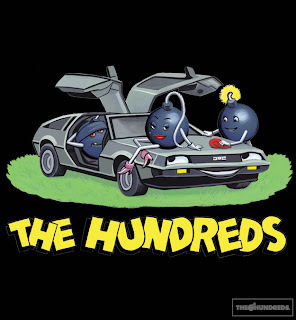 For a line up of shirts, I think they did them justice, paying homage to the Back II the Future logo, Old "Rollin' Hard" type shirts, and even a 'hundredsized' Rat Fink look for the old heads. Check hereFOR THE WHOLE LINE UP OF SHIRTS, and don't forget to read up on the features they did at the plant! All shirts drop Thursday, December 3rd.